July 20, 2016, 1:40 p.m.
By Joseph Lichterman @ylichterman July 20, 2016, 1:40 p.m.
Whatever the motivations and mechanisms, when news organizations drop, suspend, or otherwise open up their paywalls, they change the commodification of online news. Content that was previously considered valuable enough to charge for becomes free because, for the different reasons described here, news organizations think it should circulate freely. The commercial press sometimes, briefly, looks similar to a public service broadcaster, providing access to all (albeit still with advertising). Of the 69 instances paywalls were dropped or eliminated, there were 41 times that news outlets dropped them only temporarily; the other 28 times, papers made the decision to permanently reduce or eliminate them. Ananny and Bighash were able to categorize these changes in paywall strategy into six different scenarios. 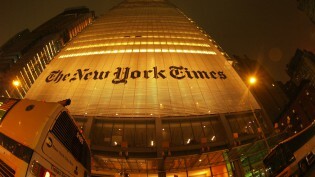 As Hurricane Sandy barreled toward the east coast in October 2012, papers such as The New York Times and The Wall Street Journal temporarily dropped their paywalls. 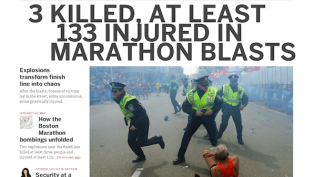 In the wake of the Boston Marathon bombings in April 2013, The Boston Globe, along with the Times, the Journal, and The Washington Post eliminated all or part of their paywalls. Such drops and reinstatements are significant because, when news organizations change their paywalls in response to public emergencies and natural disasters, they leave clues about who they think their publishing impacts, what they assume their audiences need, how they see themselves as public services, and when they judge one set of circumstances as sufficiently different from another to warrant a change in news commodification. On eight occasions, news organizations dropped their paywalls for events such as elections or the Olympics. In 2012, the Financial Times, The New York Times, and The Wall Street Journal provide free coverage around Election Day. More recently, the FT got rid of its paywall on June 23 when the United Kingdom voted to leave the European Union. When news organizations drop their election paywalls, they leave clues about what kind of public service they think they should be during elections — what types of coverage are publicly significant enough to be free. And when news organizations drop paywalls for some sports coverage but not others, they reveal which audiences they value, and which events they see as entertaining enough to potentially earn them more advertising over subscription revenue. These examples suggest a class of paywall exceptions when news organizations themselves decided to offer free content, and offered reasons for doing so — stating the kind of public services they see themselves providing, and the cross-subsidies they see among their content. Publishers also eliminated their paywalls for sponsorships or location-based partnerships. The L.A. Times dropped its paywall for three days in 2014 after it redesigned its site, showing advertisements only for Etihad Airways. The Atlantic similarly got rid of its paywall and gave Goldman Sachs exclusive advertising rights. In 2013, The New York Times partnered with Starbucks to give readers accessing the Times from Starbucks wifi 15 free stories per month. The authors found six instances of these types of deals. The researchers found 17 times when newspapers dropped their paywalls explicitly to grow their audiences. In 2014, Automotive News (where I used to work) dropped its paywall over the course of the North American International Auto Show in Detroit in order to promote its new international product. 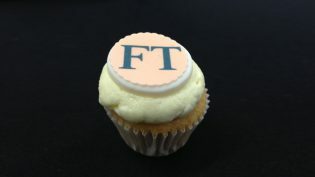 Last year, the Financial Times introduced reduced price paid trials to try and attract new subscribers. Users can try out full access to the FT for $1. (Or €1 or £1.) FT CEO John Ridding recently said the paper made the switch to try and build habits among readers. There were also 11 times news organizations eliminated their paywalls as they tried to figure out the best way to charge for their journalism. “These experiments — their design, success criteria, and the reasons they ended — suggest an ongoing rationale for many paywall drops: learning how and why to configure paywalls in ways that align with an organization’s mission, strategic plans, and audience dynamics,” the study said. The full paper is available here, in the International Journal of Communication. Photo of a man hammering away at the Berlin Wall in November 1989 by Gavin Stewart used under a Creative Commons license. POSTED July 20, 2016, 1:40 p.m.
Lichterman, Joseph. "Here are 6 reasons why newspapers have dropped their paywalls." Nieman Journalism Lab. Nieman Foundation for Journalism at Harvard, 20 Jul. 2016. Web. 24 Apr. 2019. Lichterman, Joseph. "Here are 6 reasons why newspapers have dropped their paywalls." Nieman Journalism Lab. Last modified July 20, 2016. Accessed April 24, 2019. https://www.niemanlab.org/2016/07/here-are-6-reasons-why-newspapers-have-dropped-their-paywalls/.